With just two weeks to go till Africa”s most popular pageant is contested, there is uncertainty of the participation of young beauty queen Enjeck Josette. Last September Josette was crowned the official winner of Miss West Africa Cameroon 2012, which entitles her to compete amongst 20 other contestants from the West African region and foreign countries where the Miss West Africa Pageant was held for the title Miss West Africa International. The international pageant is scheduled for 23rd March 2013 in Praia, Cape Verde. During the week long festivities leading up to the final event the queens have been granted the opportunity to meet the President and First Lady of Cape Verde, popularize their national culture to a mass audience on TV stations that reach out to various Portuguese speaking countries and well as international press coverage. Due to a near fatal accident experienced by her manager she was left stranded awaiting his return to work in order to see her through to the finals. However, in the wake of this, most of the companies and authorities stated their request for transportation coverage is too late. The pair have worked tirelessly to ensure Josette is seen through to the finals and to make Cameroon proud. of $1400. Their call goes out to organisations, businesses, travel agencies, the general public, and to any governmental department of Cameroon. All enquiries can be directed to Tekuh Mbacham via 00 237 771 618 64. MISS WEST AFRICA CAMEROON EVICTION : WHO LEAVES ? eroon pageant race, the eviction exercise shall take place today September 19th @ Hotel Residence Carlos, Buea where the pageants are lodged . The panel of judges shall decide who leaves the competition before the grande finale on Saturday . Follow NexDim for more updates . Comments Off on MISS WEST AFRICA CAMEROON EVICTION : WHO LEAVES ? ts got straight to business doing interviews and taking photos. The over one-week long event will be marked by various competitions such as posing, dancing, singing and presentations all of which will lead to evictions and the crowing of the queen come September 22, 2012. This year's edition features 11 contestants all aged between 18-25 from various cities in Cameroon. We will keep you posted on the event. 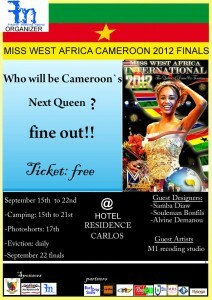 MISS WEST AFRICA CAMEROON : Get ready for the Grande finale ! Agency, Mr Nemfor Alfred that the grande national finale shall take place at Hotel Residence Carlos, Buea where they shall reside for a week while activities go on. ''This year's edition shall be special with amazing surprises . You should therefore not be in an oblivion but be a part of this revolution''. The winner shall join Nsang Dilong in basking under the sunshine of fame. Stay tuned to NexDim for more updates. Comments Off on MISS WEST AFRICA CAMEROON : Get ready for the Grande finale ! The official coronation of Miss Central Africa Cameroon pageant is scheduled to take place on Saturday 18th August at Hotel Residence Carlos, Buea. The following shall be contesting for the crown ;Melanie Mindy,Bernadine Mindy,Juliet Enang,Daisy Eposi,Sara Nchang,Carine J,Tonia Ayamba,Leonga Tita, and Hariet B. 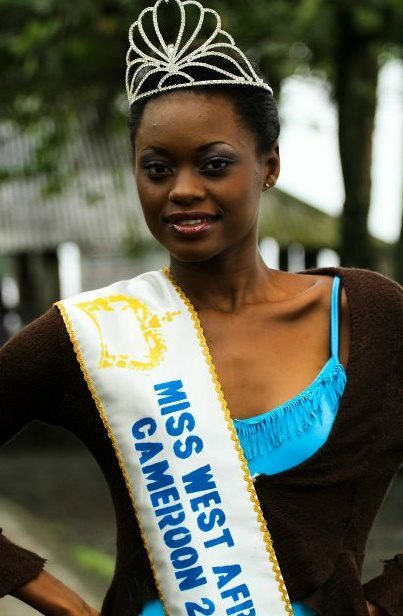 The crowned queen shall represent Cameroon at the Miss Central Africa international. The event shall be spiced with performances by Rhythmz and Menko. 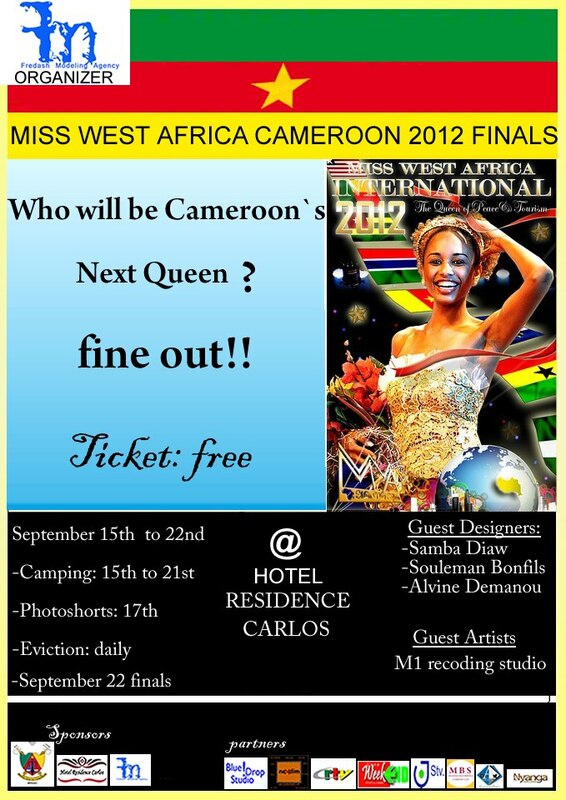 The second audition of beauty pageants to participate at Miss West Africa Cameroon 2012 shall take place at Hotel Residence Carlos on the 15th of July 2012 from 12.Pm. To participate , contact 75133470/95937124 or log on to http://www.misswestafricacameroon.com/ for details. The next audition is scheduled to take place in Bamenda. NexDim caught up with Buea – based Vineyard Models’s newly crowned Miss West Africa Cameroon 2011 , 21-year-old beautiful and talented Bodi Nsang Dilong who took some time off her busy schedule for an exclusive interview about herself and her new found world of fashion. NexDim : So tell the world who is Dilong? NexDim: Have u ever taken part in any modeling contest before? NexDim: What actually sparked you to get into the modeling industry? NexDim: Just five months with Vineyard Models u get a crown, how does that make u feel? NexDim: Nothing good comes easy what are some the challenges you faced? NS: Wow, I must say it has not been all easy as it seems considering the way people think about models on how they are cheap and easy to go with, I actually faced that issue at home with my parents who didn’t see it very respectful for me as their first daughter with three young siblings to take care of to get into such a field in life. NexDim: What are some of those things as a Cameroonian model you can make a change in? NexDim: Considering your age one is tempted to say u have a long way to go, how far do you see yourself in the industry? 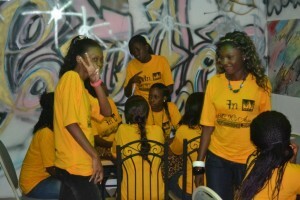 After auditions in Yaounde, 15 final contestants have been unveiled in the Miss West Africa Cameroon pageant 2011. Enjoy these interesting interviews with the 15 preselected produced by Penjo Entertainment. Part 1 of Miss West Africa Cameroon 2011 from Penjo Entertainment on Vimeo.